What is an efw file and how do I open an efw file? A renamed Zip or executable file that has the .efw extension is classified as an archive file converted to the EFW format, and these EFW files are most of the time transmitted as email attachments checked by an antivirus software from Computer Associates. These EFW files are encrypted with compression and encoding specifications used and implemented by the Computer Associates Security Center application. These EFW files may also be executable files of certain applications converted to the EFW format for transmitting these executable files as email attachments. A user may revert these EFW files back to its original format by changing the EFW extension to ZIP. If an EFW file is an executable file of a legitimate Microsoft Windows application, then users can change the .efw extension to .exe and run the executable file in their Microsoft Windows-based systems. Users of antivirus products developed by Computer Associates may opt to disable their antivirus software to avoid legitimate ZIP or executable files from being exported to the EFW format, in case these ZIP and executable file attachments are from trusted sources. 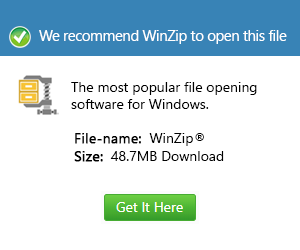 An EFW file converted to the ZIP format can then be opened using widely used ZIP decompression and compression software like WinZIP.